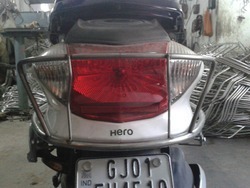 Pioneers in the industry, we offer two wheeler bumper guard, front guard and hero duet all round guard from India. Leveraging on our vast industry experience, we are engaged in manufacturing and supplying of Bumper Guard. This bumper guard is high on value among our customers owing to its best quality & durability. Our offered bumper guard is manufactured with quality tested material in adherence with set standard of market. Customers can purchase this bumper guard from us in customized options as per market preferences. 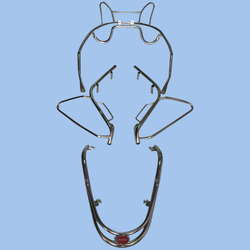 Our Front Guard is offered to the clients at highly competitive prices. These products are especially designed for Piaggio, under the expert supervision of our team of experts. In addition to this, these products are known for providing extra protection as well as help against deformation & maintaining original shape in an efficient manner.